CFG is the ultimate choice in all your personal, private business, and even a combination of both corporate and relaxation charter flights. This aircraft can comfortably sit eight passengers and two flight attendants with abundant leg room and storage for luggage and cargo. With its highly advanced avionics systems, this private aircraft features the best safety tools and the most luxurious and spacious cabin for a highly comfortable private jet charter to Knoxville, Tennessee. Because of our capacity to access a wide database of private aircraft, the company can assure the availability of any private jet plane of your choice. Also, CFG comes with a 24/7 private aircraft and customer service, so we can take care of your charter jet requirements whenever and wherever you are in the world. We provide supreme jet charter services to thousands of airports worldwide, including the McGhee Tyson Airport (KTYS) in Knoxville, Tennessee. Aside from variety and availability of private aircraft, all of Charter Flight Groups aircraft also feature commendable safety and security. In Charter Flight Group, your well-being is our topmost priority and so, we completely assure that all our private aircraft passed the rigorous aviation standards of the United States government through the Federal Aviation Administration (FAA). On our commitment to your safety, we also carry out third-party safety audits through the best and the most reliable aviation safety inspectors in the world – the Aircraft Research Group of the United States (ARGUS) and Wyvern. Through these third-party audits, we can guarantee highly dependable and reliable private jet charter flights to Knoxville, Tennessee. If you are planning to charter a private jet to Knoxville, then you are most probably planning to land in the joint civil-military public airport that serves the metropolitan area of Knoxville – the McGhee Tyson Airport in Knoxville. This busy airport is conveniently located about ten miles south of Knoxville’s central business district and is considered the premier facility and the gateway for businesses to all of East Tennessee. The airport caters to all commercial flights including private jet charter flights provided by many airlines and connection carriers. McGhee Tyson Airport also houses ones fixed based operator – TAC Air – which provides fuel and airport services to commercial carriers to attend to the requirements of the general aviation industry. This includes military aviation, corporate aviation, private charter flights, flight schools and even individuals who fly planes as a hobby. McGhee Tyson Airport is definitely one of the most convenient and accessible airport in the United Sates and clients who plan to charter a private plane in and out of Knoxville, Tennessee can be sure to find convenience and satisfaction in their flight. On your private jet charter flight to Knoxville, you will find out how the city’s roots run deep and strong. From its strong work ethic, to its tight family connections, down to its utmost respect for natural beauty, Knoxville is certainly the hub of Tennessee’s heritage. Proud to be ranked as among the best places to live in the United States, Knoxville makes it known that it is indeed one of the best cities in the county. 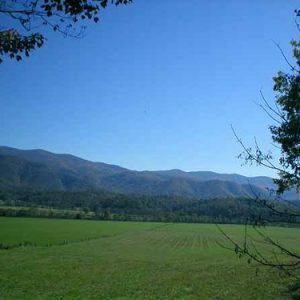 If your charter private to Knoxville is for business, you will be delighted to know that you came to the right place. 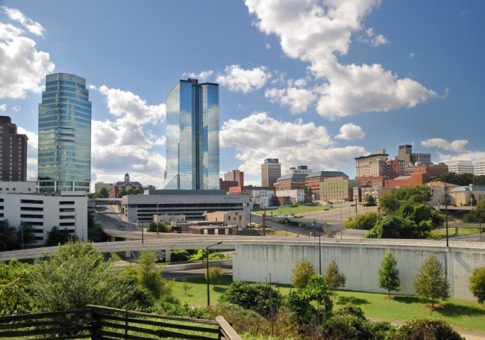 This year, Knoxville was among the top ten cities in the United States that has shown potential for economic growth and prosperity, aside from being one of Forbes’ best mid-size cities for jobs and best places to retire. The reasons for these numerous awards are the fact that Knoxville has high industrial diversity and low cost of living. Thus, it’s not surprising to find internationally significant industries headquartered in Tennessee, such as Nissan North America, Federal Express Corp., Pilot Corporation and many more. If you’re no businessman and your chartered private jet flight to Knoxville is purely for fun and recreation, then you won’t be disappointed as well. Knoxville was recently named as one of the best vacation destinations in the United States and one of the best sports cities in the south. The reasons? The Sunsphere Tower and the Neyland Coliseum Sports, aside from the Great Smoky mountains and the Dollywood Theme Park, and so much more! In your chartered private flight to Knoxville, you will definitely enjoy boundless shopping, entertainment and family fun. Why Choose Charter Flight Group for your Jet to Knoxville? Charter Flight Group provides unparalleled private jet charters to Knoxville, Tennessee and to thousands of other airports and destinations worldwide. We are dedicated to make sure your jet flights are extraordinarily dependable, comfortable, convenient and safe. We have highly trained consultants and chartered flight planners who can set up a private air charter flight for you in a very competitive rate. Make your next private charter flight to Knoxville or to anywhere in the world safe and luxurious with CFG.